He is the little boy found by Mr. Earnshaw in the streets of Liverpool. Heathcliff is favored by Mr. Earnshaw but is extremely hated by Hindly. Heathcliff after Mr. Earnshaw’s death is dehumanized by Hindly preventing him from coming up in society, educating himself or marrying the girl he loves. Heathcliff is passionate and his love, although wild and strong, often comes across as violent. Losing his soulmate makes his heart and soul harden and so he transforms from a Romantic Byronic Hero, into a harsh yet unique Victorian one. Although Heathcliff can be evil, the readers would often sympathize with his character as it is an outcome of mistreatment, injustice and loss. He is the brother of Cathy, and is marginalized upon Heathcliff’s arrival. He begins to abuse and mistreat Heathcliff, as he sees he is inferior to him. Hindly is jealous of his father’s affection towards Heathcliff and so he takes revenge on him when his father dies. 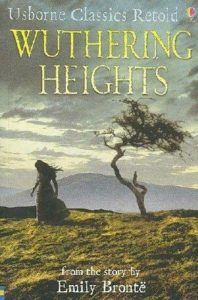 Seizing ownership of Wuthering Heights, he marries Frances, whom he loves dearly, only to lose her upon her giving birth. Hindly loses the will to live and his passion for life, as he drinks and gambles himself to death and loses Wuthering Heights to Heathcliff. She is the object of Heathcliff’s affection and the reason for his revenge. She is a wild child just like Heathcliff, though her sweet face and childish behavior can be misleading. Cathy believes her and Heathcliff are one, yet chooses to marry someone she bears little affection for, in order to fulfill her social ambition of becoming a superior lady of the house. In essence, Catherine seems to be immature, selfish and often times barbaric and she toys with both Edgar and Heathcliff’s emotions. He is Heathcliff’s opposite and competition and Catherine’s rise to social superiority. Edgar lives in Thrushcross Grange and often comes off as arrogant and cowardly. However, he is a slave to his love for Catherine and continues to love her regardless of her behavior. Edgar is simply blinded by his emotions. She is Edgar’s sister and shares his characteristics of arrogance and immaturity. Isabella is also a contrast to Catherine as life and everyone on Thrushcross Grange, is tame and boring. Isabella is infatuated with Heathcliff’s mystery and darkness, which are that of the Byronic hero. Her marriage to Heathcliff leaves her disowned by her brother and abused and beaten as revenge. She reaches maturity when she decides to leave Thrushcross Grange, pregnant with Heathcliff’s child Linton. He is the new tenant at Wuthering Heights and often attempts to seem a mysterious and withdrawn melancholy character. Lockwood is the primary narrator but he is unreliable, as he only communicates what he sees, hears and thinks on the surface. She is the daughter of the servant at Wuthering Heights and grows up alongside Heathcliff, Cathy and Hindly. She constantly has to be the mature one of the generation and helps guide, protect and advise them. Nelly falls victim of the behaviors of the people surrounding her, be it when she serves Heathcliff, Catherine or Hindly. Brontë uses her character to narrate the story of Heathcliff to Lockwood as she has served the Earnshaws, the Lintons and now Heathcliff. Nelly essentially knows enough to tell the story but is not omniscient as she cannot tell what characters are feeling or thinking beyond the surface. He is the son of Hindly and Frances and upon their death, is treated as an underprivileged servant and deprived of any education, sympathy and respect. Hareton pays for his father’s mistakes in treating Heathcliff the way he did. Hareton breaks the cycle of revenge by retaining empathy and emotion underneath his rough exterior. He then falls in love with Cathy and they make plans to wed at the end of the novel. He is the son of Heathcliff and Isabella Linton. He is forced to marry Cathy and rather than enjoy his life, he suffers from a chronic illness which matches that of the description of Tuberculosis. Linton constantly complains, leading the people around him to despise him. Linton is shown no empathy in the entire household except for that of Cathy’s and dies leaving Thrushcross Grange to his father.